A 2017 launch, luxury sailing catamaran ADEA constitutes a remarkable combination of utter elegance and style with outstanding seaworthiness and a remarkable level of stability which makes her a top-of-her-class within a 60-footer range. A spacious and airy saloon comprises a comfortable grey leather seating accompanied by an elegant coffee table which combine beautifully with a teak floor and are ideally arranged to achieve the maximum living space. 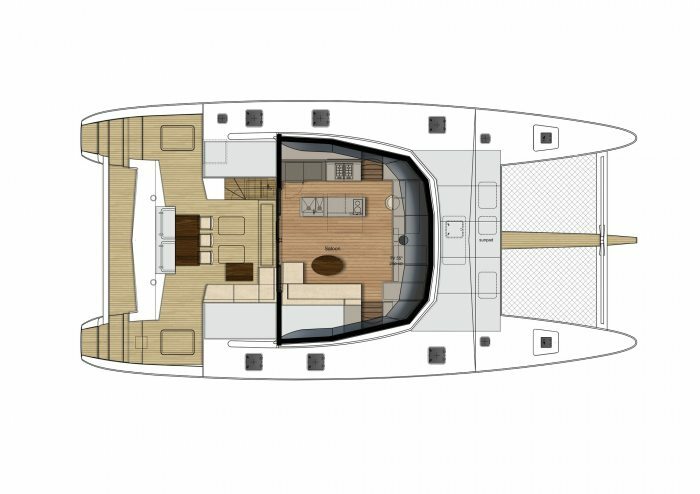 Location of the cockpit and the saloon on the same level allows for an impressive space capable of hosting 8 guests in the most comfortable conditions. A main-deck galley fully equipped with the latest appliances and innovative storage solutions is also designed in white which contributes to the spaciousness of the main deck area. 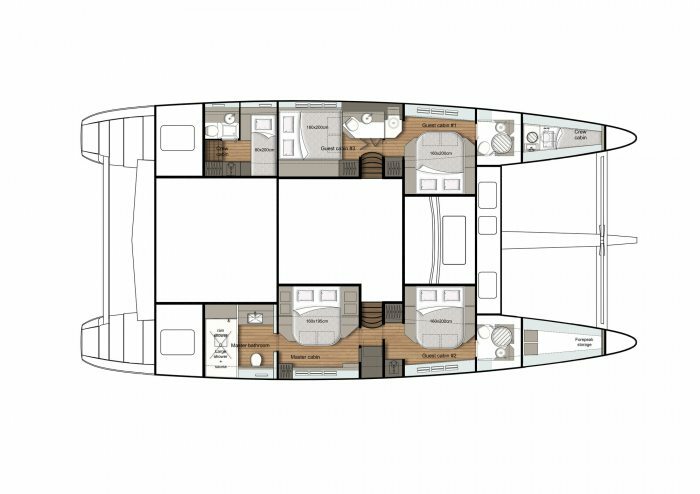 The four elegant en suite cabins are located in the hulls, with a large master cabin and a guest cabin placed in the starboard hull and the remaining two guest cabins located in the portside hull. ADEA’s guests will surely appreciate elegant cabin interiors, dominated by white and grey colours and enriched with soft oak wood touches, and the space provided for comfortable living on board. Along with an en suite bathroom, the master cabin is equipped with a hammam sauna which is a great addition for charter guests. ADEA’s spacious outdoor areas offer a number of options for alfresco dining, sunbathing, or relaxing in the shade. Both the flybridge and the aft deck are equipped with comfortable seating areas and dining tables which allows guests to enjoy their meals while admiring breath-taking views and relax after a long day spent in the sun. 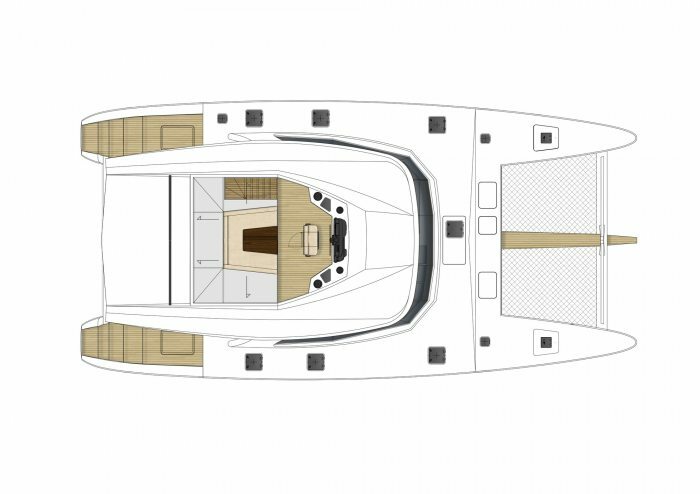 The shadowed sunpad area on front deck and a large composite bimini on the flybridge provide an optimal sun protection for the guests who would like to enjoy some shade. Luxury sailing catamaran ADEA offers a variety of water sports and toys, including snorkelling and diving, kayaking and wake boarding, seabobs, towables and many other fun water activities which will suit guests of all ages.